Whilst on duty in the cramped confines of Muckle Flugga Lighthouse, Ian Cassells took to walking circuits round the lighthouse station for exercise (twelve laps to the mile). 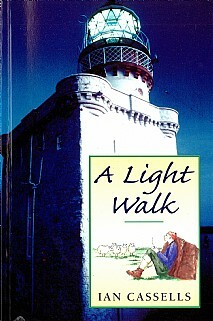 With this background, when the Northern Lighthouse Board celebrated its Bicentenary in 1986, he made the suggestion that in commemoration of the anniversary he carry out a sponsored walk to raise money for the RNLI, calling at all the then manned lighthouses on the Scottish mainland. It took the author 58 days in which he covered at least 1100 miles on foot.